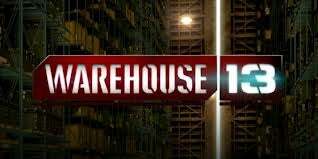 With the premier of Warehouse 13’s second half of season 4 of tonight, I thought it would be fun to see what everyone’s favorite artifact is and/or list an artifact that you think would be a fun addition to the show. My favorite artifact so far is Sylvia Plath’s typewriter. It would definitely explain the tragic life of Plath and its ability to drain the life out of someone just by standing next to it solidifies its place in the Dark Vault. The original turntables from the Paradise Garage: imbued with the birth and zeal of dance culture. Anyone who hears a song from a record played on them is compelled to drop everything and dance with reckless abandon. The victim(s) can’t stop dancing and doesn't care about doing anything else but dancing until the sound is cancelled either by stopping the turntables or cancelling out the noise by earplugs. I’d love to hear your choices!